ReadyCloud, a cross-channel ecommerce CRM solution, has just dropped a brand-new report. It gives readers the complete scoop on the biggest paradigm shift in software in years, as the $40 billion/year CRM industry enters e-commerce territory. “The CRM industry has one of the highest adoption rates in software, measured at 24% on the bottom and as much as 90% at the top, with modern CRM solutions gaining the most traction. 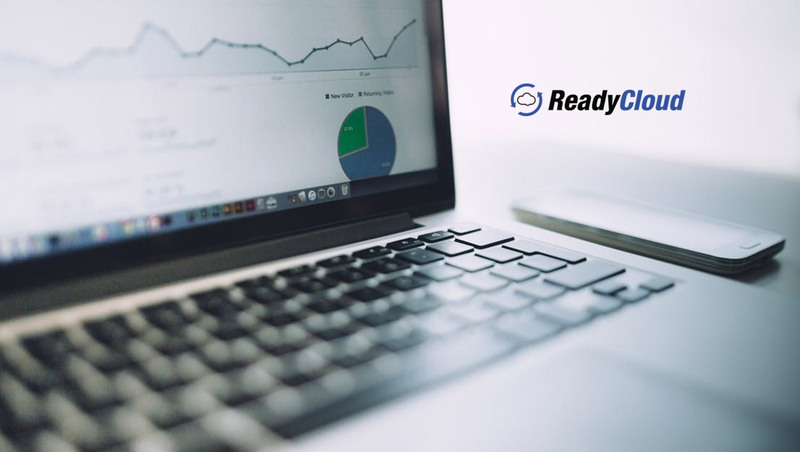 As this software shifts focus to the $4 trillion/year ecommerce industry, the sky’s the limit,” comments Michael Lazar, an Executive at ReadyCloud CRM. How useful is CRM to online retailers? With emerging cross-channel shopping statistics revealing that 66% of shoppers are buying from two or more channels during the purchasing cycle, and that the average consumer makes 9.5 visits to an ecommerce site before completing a purchase, having a CRM that consolidates this data and helps improve relationships across multiple sales channels is an essential component to any marketing plan. The most recent CRM statistics also find that 50% of teams currently using a CRM report at least a 50% increase in productivity. Meanwhile, companies that adopt a CRM solution realize an average revenue uplift of around 2% annually. Digital marketers are embracing CRM, too, because the average annual marketing budget saves at least $75,000/year with it in place. Topping the cake of CRM benefits is the fact that overall labor costs decrease companywide by as much as 20% when the right solution is in place. “These statistics on CRM for 2018 demonstrate how it’s become a must-have tool in the marketing and relationship cycle. But up until just recently, CRM hasn’t had an ecommerce focus,” Lazar contends. With new reports revealing that companies pursuing a cross-channel presence are growing on average by 9.5% annually, it’s essential to have the right marketing and ecommerce customer relationship management tools in place to successfully compete in the highly competitive ecommerce industry.